One of the greatest civilizations of the past had left not only the rich heritage. The ancient Maya cities keep something else. You can guess what treasures were hidden from the conquerors. Or get everything by yourself! You do have such an opportunity. 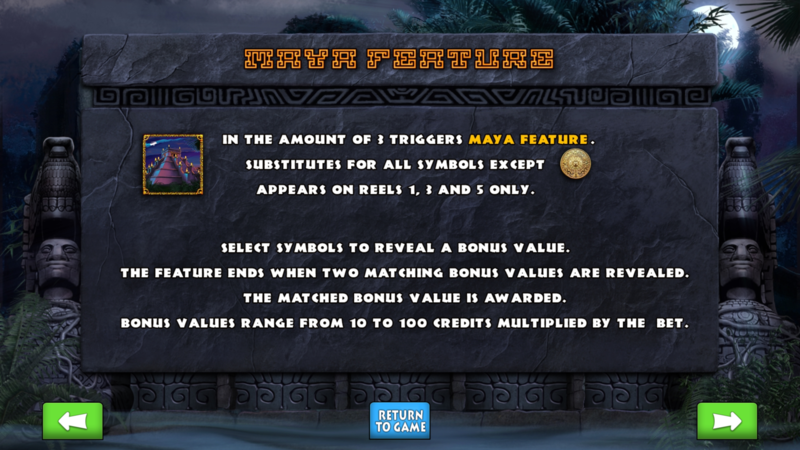 Maya Treasure is an incredibly beautiful game produced by MainamaGames. The exciting atmosphere and the simple rules at the same time. There are 10 paylines. 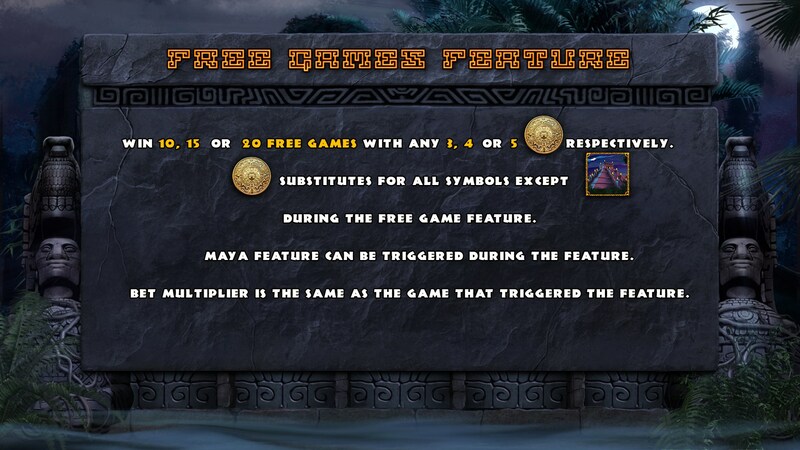 You get prizes for the 3, 4 or 5 matching symbols. 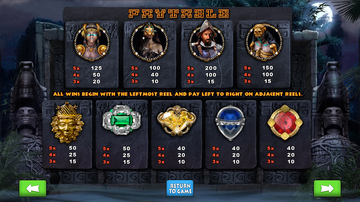 Special symbols help to win more. They are the medallion and the pyramid. The pyramid symbol substitutes all symbols except for the medallion. 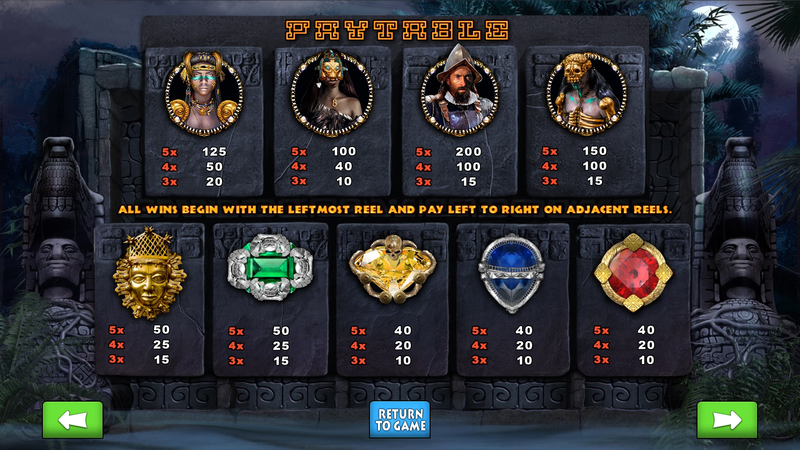 Moreover, they offer some bonus games. 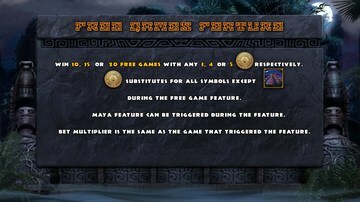 The first bonus is composed of 10, 15 or 20 free scrolls. You get them when 3, 4 or 5 medallions come simultaneously. 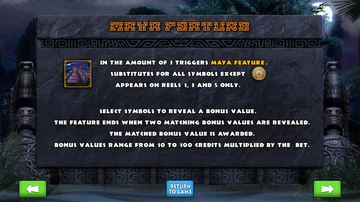 During the bonus game the medallion becomes the wild and replaces everything but the pyramid. 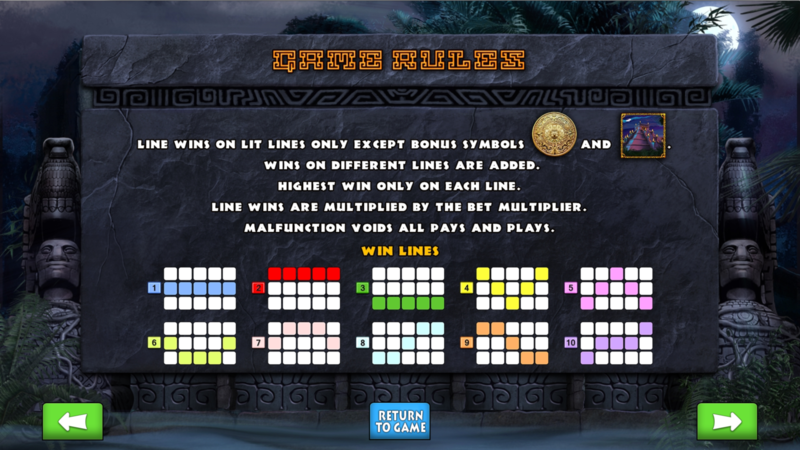 The second bonus game will be offered for three pyramids come at the same time. In front of you there will be 20 panels with pictures of animals. Beneath them the numbers meaning a possible prize are hidden. When two identical numbers are opened, you will receive a prize equal to their value. This bonus may be given both during the ordinary game and during the free scroll. 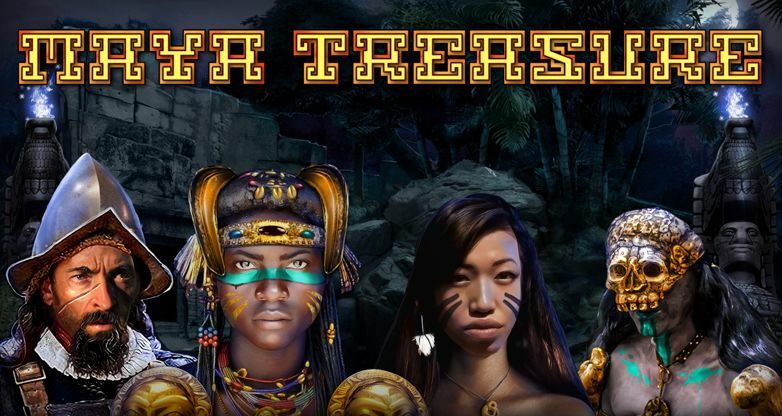 Feel yourself like a conquistador on playing Maya Treasure!